Olivier Giroud's first goal under Maurizio Sarri gave Chelsea an unconvincing 1-0 win at BATE Borisov to seal their Europa League progress. Chelsea are now guaranteed to reach the last 32 after their fourth win from four, which was not without difficulty in Belarus. The hosts hit the woodwork in both halves and defended stubbornly, which proved problematic for a sluggish Chelsea who failed to register a shot on target in the first half. But after the interval, they opened the scoring through Giroud's header from an Emerson cross (52) and, courtesy of a welcome clean sheet, kept up their 100 per cent record in Europe this season. 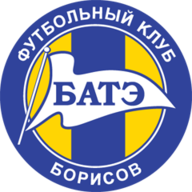 BATE: Scherbitski (7), Rios (6), Volkov (8), Filipenko (7), Filipovic (7), Hleb (7), Dragun (8), Baga (8), Skavysh (6), Signevich (6), Stasevich (6). Subs: Tuominen (6), Moukam (5), Berezkin (n/a). Chelsea: Kepa (7), Zappacosta (5), Cahill (6), Christensen (6), Emerson (7), Barkley (5), Jorginho (6), Loftus-Cheek (5), Pedro (6), Giroud (7), Hazard (6). Subs: Willian (6), Kovacic (6), Hudson-Odoi (n/a). 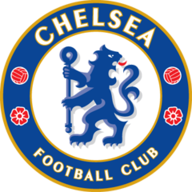 Chelsea had much of the possession but little creativity before half-time, and were nearly a goal down before they had even settled when Dzmitry Baga struck the post from range. Kepa also had to keep out a near-post header from Stanislav Dragun following a corner, as the visitors went in grateful to be level. Immediately after the restart, there was a sense of increased urgency from Sarri's side and after spending most of the opening five minutes camped in the BATE half, they took the lead. Jorginho's first-time pass was fizzed in from wide towards Giroud by Emerson, and the France striker's near-post header went underneath Denis Scherbitski's despairing dive for the opener. The Belarusian side, who had never beaten an English team on home soil, went in immediate search of an equaliser and nearly found it six minutes after falling behind, when Nilokai Signevich struck the bar after turning Dagun's long-range shot into one of his own. Moments later, when Ihar Stasevich's cross was missed by Signevich, it allowed full-back Alexei Rios a chance to shoot with a late run into the box, but he blasted over when he should at least have hit the target. Maurizio Sarri included Eden Hazard after his two-week lay-off, but Chelsea were missing David Luiz, Antonio Rudiger and Alvaro Morata from the squad altogether, with Maurizio Sarri choosing to rest them in England. Chelsea threatened to move further ahead with Giroud's header from a corner and Ross Barkley's long-range effort both forcing Scherbitski into saves, but the closest the game came to a second goal was in injury time, when BATE hit the woodwork for a third time. A corner in the dying seconds was half-cleared to substitute Evgeni Berezkin, who smacked the post from outside the area. That narrow escape summed up BATE's night, as they were left empty-handed from a strong performance against the only unbeaten side left in Europe, but Chelsea had more to smile about, and now need only a point from their two remaining games to win Group L.
BATE Borisov have lost on each of the three occasions they have hosted an English side in Europe (also 1-2 vs Everton in Oct 2009 and 2-4 vs Arsenal in Sep 2017). Maurizio Sarri has won all 10 of his Europa League group stage games as a manager, with his sides scoring 28 goals while conceding just four in return. Olivier Giroud scored his first goal for Chelsea since netting against Liverpool in May - he had gone 14 games, 793 minutes and 24 shots without scoring. Volkov was a man mountain for BATE at the back, taking on eight duels and winning a higher percentage than any other starter for his side. He also made several vital clearances, including from another Jorginho dinked through-ball which has already caught out a number of Premier League defenders this season. Chelsea travel to Everton on Super Sunday at 2.15pm. You can catch all the action live on Sky Sports Premier League from 1pm.